Jeep Safari, ancient monasteries villages, tribes, spectacular mountains cape, lakes and option for rafting. 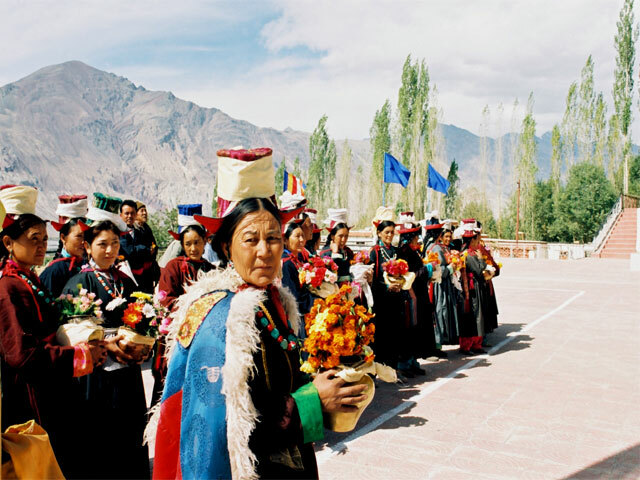 Geographically, Ladakh is a part of India but culturally and physically it seems more like Tibet and Central Asia. 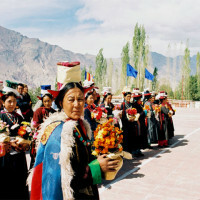 Ladakh remains as an unspoiled enclave of Tibetan Buddhism at the remote borderland region on northern India. For centuries, the Silk Road Caravans and faithful pilgrims passed through these mountain crossroads between India, Tibet and Chinese Turkistan, endowing “Ladakh” with a melting pot of artistic tradition. The word ‘Ladakh’ means “Land of Light” because its clear and rarified air electrifies the sunlight – especially in the summer time. 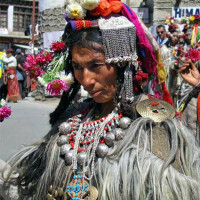 Ladakh is at its best, when the plains of India are hot, humid and when the monsoon braces the windward slopes of the Nepal and Bhutan from June through August. 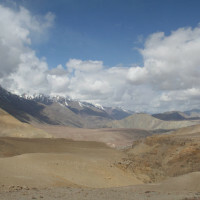 With an advantage of its location on the leeward side of the Himalayas, “Little Tibet” remains in a rain shadow during the summer rains. 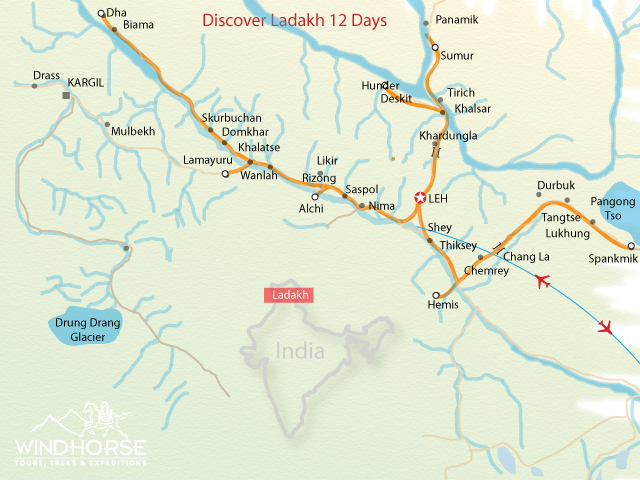 Our “Discover Ladakh” journey combines the very best of what Ladakh has to offer. 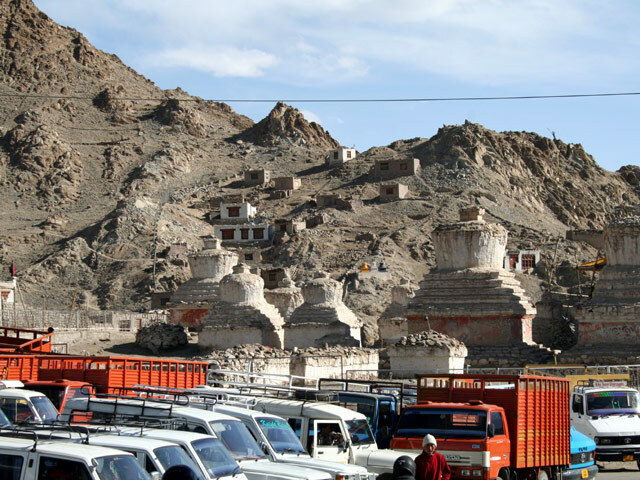 Spend the first two days in Leh, acclimatizing, visiting monasteries, palaces and forts. Then drive over the world’s highest motorable Pass to the north frontiers of the Nubra valley, where we spend two nights visiting rock-clinging Monasteries, villages and riding double humped camels on sand dunes. 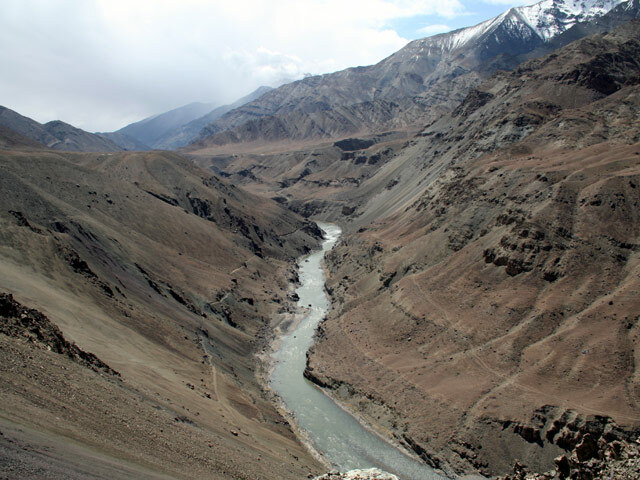 After our return to Leh we have an option of experiencing a short river rafting trip down the Indus and Zanskar river valley or visit the villages and monasteries of Alchi and Lamayuru. Drive south to see and meet the Drokpa tribes and explore the Dahanu area. Then take a jeep safari east to the plains of Changangtang grasslands and visit the stunningly beautiful Pongong Lake. Board one of the most exciting trans-Himalayan flights into Leh 3500m, the capital of Ladakh- a high altitude Himalayan Kingdom. Met on arrival at KushokBakula Airport Leh& transfer to Hotel 10min drive. Day for complete rest at the hotel to acclimatize yourself to the high altitudes of Leh. Evening you can take a brisk walk to the market. Dinner and overnight at the hotel. 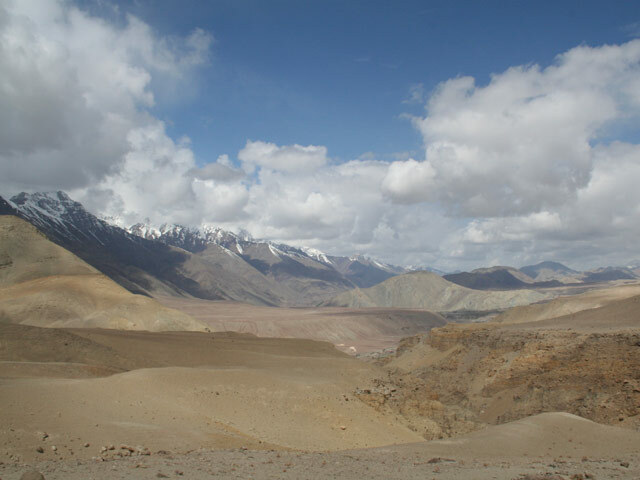 Today we drive up north of Leh, across the Khardongla pass into Nubra valley 130km, the erstwhile trade center on Turkmanistan – Nubra – Ladakh Silk Route trade. After 2 hrs of drive we cross the world highest motorable pass at 18380 ft. i.e. the Khardongla pass. 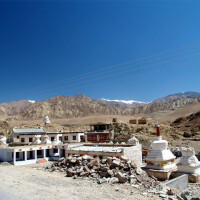 Arrive at Nubra by noon and we visit Diskit Monastery – which is a lovely monastery situated on a high mountain side and later walk through the silvery Sand Dunes of Nubra near Hunder village where you might spot the wild double humped Bactrain camels which is found only in Nubra valley as far as India is concerned. If possible you might even try a short Camel ride. Later we checkin at Tirith Deluxe Camp in Tirith village, Dinner & overnight at the Camp. After an early b/fast proceed to visit the famous Samstanling Monastery and later drive back to Leh. Arrive by late afternoon and checkin at the hotel. 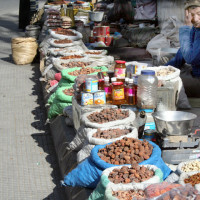 Evening free to explore the Leh market. Early Breakfast we drive to witness the famous HEMIS TSECHU, a colorful ceremony of mask dances to commemorate the birth anniversary of Guru Padmasambhava, the great tantric master who the teachings of Buddha Sakyamuni from India to Tibet in later part of 7th century. Hemis is also the biggest monastery complex in Ladakh built around 16th century, later in the afternoon we drive back to Leh after witnessing the festival, on the way visit Thiksey Monastery which enshrines the most beautiful statue of Maitreya Buddha which is three stories in height, and this monastery resembles something like the Potala Palace in Lhasa Tibet. Later, on the way back we visit to “Gyabthago Family Home” in Stok village across the Indus river to try local butter tea & barley drink, and see their 160 years old typical Ladakhi House. Lunch will be carried packed for the day. Evening free at the leh market. Dinner & overnight at the hotel. After breakfast drive to Tingmosgang 95 kms from Leh, enroute visit photo stop at the confluence of Indus &Zanskar Rivers which are two major rivers in Ladakh, and quite popular for River Rafting. Later enroute visit Alchi Monastery one of the 7 wonders in India which enshrines among the most magnificent miniature Buddhist paintings in the Himalayas which are more than 1000 years old. Also on the way we shall stop to visit the Basgo Castle which has some astounding murals. 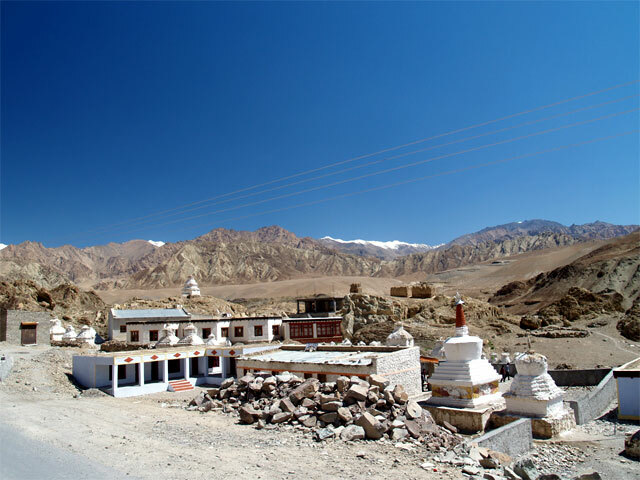 Arrive Tingmogang village which was once the capital of western Ladakh. Checkin at the Hotel. Evening walk around the village overlooking the TingmosgangKhar and its ruins. Morning after leisure Breakfast visits the sacred statue of Avalokitsehwara “chanrazi” at TingmosgangGonpa and later we drive back to Leh en route visit to the Giant Maitreya Buddha statue at Likir village. Close to Leh we also visit the Military Hall of Fame. 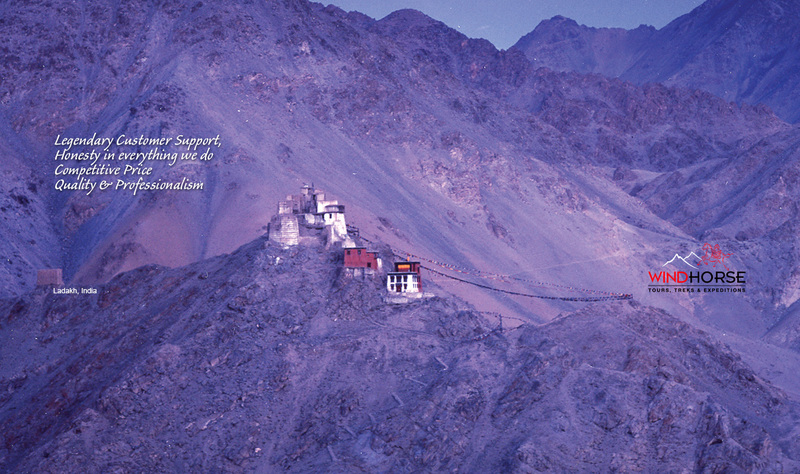 Arrive Leh and free at leisure. Dinner and overnight at the Hotel. Early morning full day excursion to Pangong Lake 135 km / 4400m east of Leh crossing Changla Pass 17500ft and driving via Durbuk and Tangtse villages in the Changthang region of Ladakh and perhaps one of the most amazing lakes in Asia which changes its color 4 – 5 times a day. Afternoon explore the lake and enjoy a romantic walk along the lake. Evening visit the tiny nomadic village located at a distance. Overnight at tented Camp. Members can enjoy early morning photo-shoots of the lake which looks great, breakfast and then drive back to Leh. Back to Leh by noon. Afternoon free at leisure for last minute shopping etc. Overnight at the Hotel. Early morning transfer to KBR Airport to board flight for your onward destination. Morning after Breakfast drive 40 kms to Lamayuru village to witness the sacred mask dances of YURU KABGYAT CEREMONY which is the annual festival of Lamayuru monastery. After lunch drive back to Leh 125kms. Dinner and overnight at the Hotel. After an early b/fast proceed to visit the famous Samstanling Monastery and later drive back to Leh. Arrive by late afternoon and check-in at the hotel. 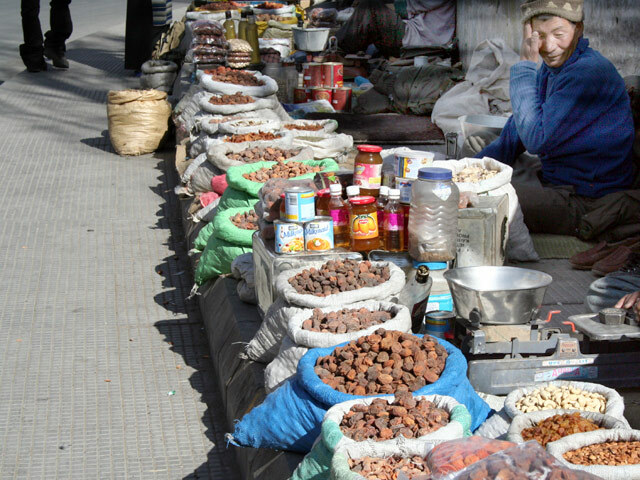 Evening free to explore the Leh market. Full day visiting Shey, Thiksey, Hemis & Stok. 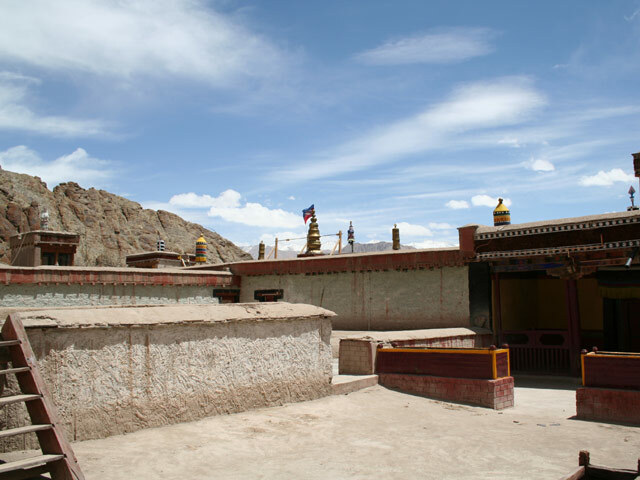 After breakfast proceed to Shey – it was the ancient capital of Ladakh and even after Singge Namgyal built the more imposing palace at Leh, the kings continued to regard Shey, as their real home. 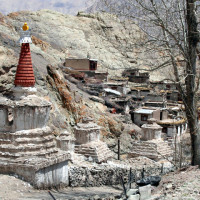 The importance which was attached to Shey – the seat of Ladakh’s heartland – is attested by the enormous number of Chorten about the village, particularly around the palace complex and barren plain to the north of the road. Thiksey – is one of the largest and most impressive Gompas. 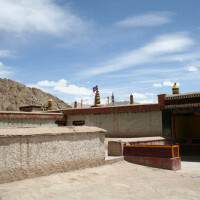 There are several temples in this Gompa containing images, stupas and exquisite wall paintings. It also houses a two – storied statue of Buddha which has the main prayer hall around its shoulder. Later Proceed to Hemis – which is dedicated to Padmasambhava, what a visitor can observes a series of scenes in which the lamas, robed in gowns of rich, brightly colored brocade and sporting masks sometimes bizarrely hideous, parade in solemn dance and mime around the huge flag pole in the center of the courtyard to the plaintive melody of the Shawn. The moan of the eleven feet horns, the boom of drums and the clash of Cymbals. 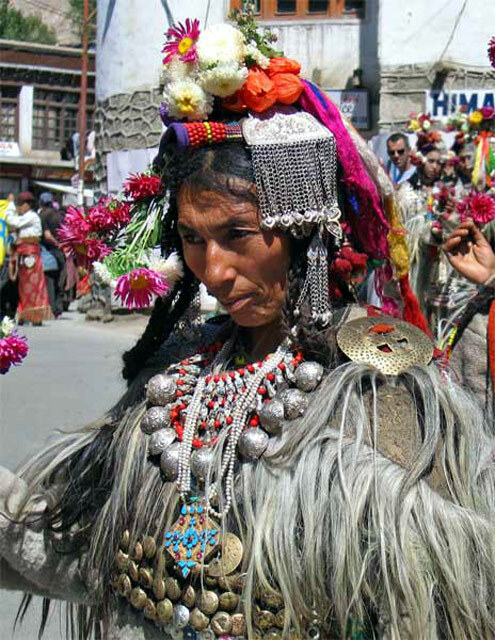 Hemis was found in the 1630’s by Tsang-ras-pa under the royal patronage of Singe Namgyal, Hemis is the largest and richest of the Ladakh Gompas. 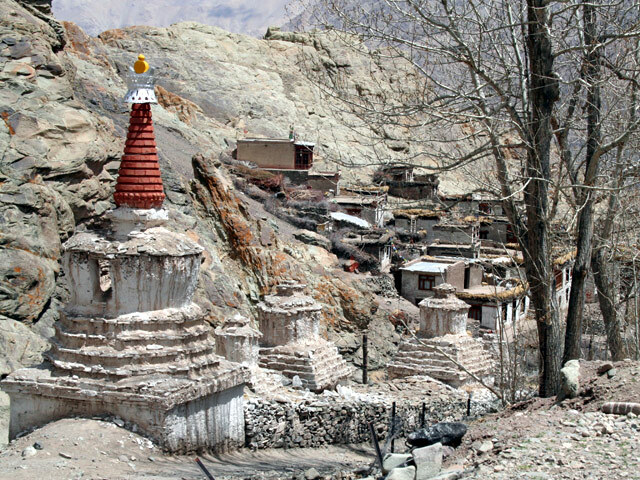 It nestles into the mountain side a little way up a glen in the mountains of Zanskar range. 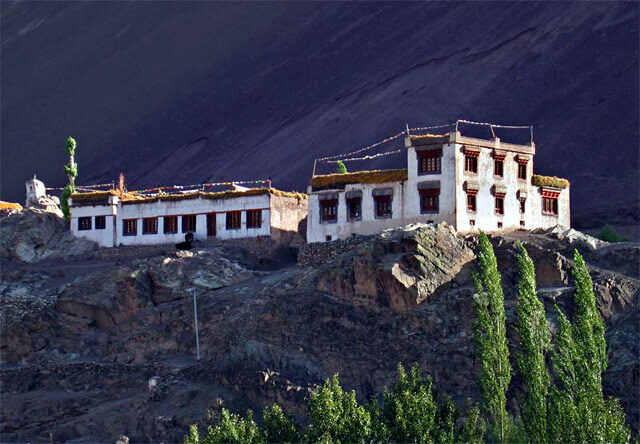 Stok – The Palace of the banished royal family, Stok has a museum which displays fabulous period costumes and jewelry of the royalty along with exquisite Tangkhas representing the life of the Sakya- Muni Buddha. Interesting historical objects like coins, seals, armor, weapons, precious jade and porcelain can also be seen here. Return to Leh for Overnight at hotel / guest house. Early morning fullday excursion to Pangong Lake 135 km / 4400m east of Leh crossing Changla Pass 17500ft and driving via Durbuk and Tangtse villages in the Changthang region of Ladakh and perhaps one of the most amazing lakes in Asia which changes its color 4 – 5 times a day. Afternoon explore the lake and enjoy a romantic walk along the lake. Overnight at tented Camp. Meet on arrival at KBR airport and transfer to hotel. Breakfast. Post breakfast at leisure. Post lunch drive to Choklamsar for visit to SOS Tibetan village followed by visit to Shanti stupa. Evening free at leisure, dinner and overnight at the hotel. Morning visit Hemis monastery. Afternoon visit Shey & Thiksey monasteries. Drive to Uleytopko en route visiting Likir & Alchi monastery. O/n in Uleytopko camp. Drive to Lamayuru visit the monastery and back to Leh Festival. O/n in (Hotel). Morning drive 15km to witness Shachakul Gustor festival at Shachakul village which is one of the exotic monastery festivals and not many tourist know about this festival. Back to Tangtse and o/n in Guest House. Morning drive back to Leh, enroute we drive 35km further from Tangtse to visit Pangong Lake, one of the largest lakes in Himalayas situated at height of 4400mt and one of the largest lakes in the Himalayas. Arrive Leh and free. Farewell dinner at a restaurant outside the hotel. O/n in hotel. Morning visit Shankar Gompa & Spituk monastery. Afternoon at leisure. Dinner and overnight at the hotel. Full day free at leisure. Dinner and overnight at the hotel. Early morning after breakfast, transfer to airport to board the flight back to Delhi. Early morning flight to Leh 11800 ft the capital of Ladakh. On arrival at KushokBakula Airport transfer to Hotel and full day at rest for high altitude acclimatization. Evening brisk walk to market. Overnight at the Hotel. 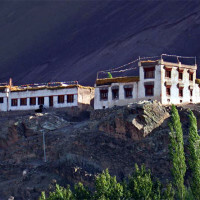 After a leisure breakfast drive to Ulleytokpo 70km on the way visit Sangam, Alchi & Likir Monastery. Packed Lunch for the day. Afternoon excursion to Lamayuru Monastery & Lunar landscapes. overnight at Ulley. Morning drive to Drokpa Valley 85 km, the drokpa tribes of Ladakh are considered one of the pure descendents of Aryan race with different culture & a unique language. Checkin at the camp in Beima village. Packed Lunch and afternoon visit Dha&Beima villages which are among the two important Drokpa Tribes and which are among the few opened for tourists. Morning after breakfast drive 95 kms to Tingmogang village. En route stop at Khalatsi village for tea. Arrive Tingmogang by afternoon and check-in at the Hotel. Lunch and later visit Nunnery school, the great fortified Tingmogang Palace and the Chamba monastery. 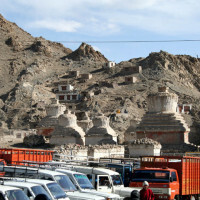 It was once the capital of western Ladakh. Morning after b/fast visit Vipassana Valley which is an exclusive meditation valley in the village and then drive back to Leh 92 km. By later afternoon arrive at Stok Village and checkin at Skittsal Resorts. Later in the afternoon visit the Royal Stok Palace Museum followed by visit to Ladakhi Family Home for local butter tea, Barley drink etc. Overnight at the hotel Skittsal in Stok. Early morning drive along Indus River into Rupshu Valley. A nice wilderness drive up to Tso-Moriri Lake 4200m / 220km east of Leh, box lunch for the day. Arrive Tsomoriri by late noon and checkin the camp. Evening relax and overnight at the tented Camp at Korzok village by Lake side, Korzok is the only permanent settlements of the Nomads of Rupshu region and one of the highest altitude settlements in Ladakh. with their herds of goats & Yaks producing butter & cheese. Back to the Camp for Lunch and later visit the nomadic village of Korzok and its small monastery. TsoMoriri Lake is a famous Bird watching sanctuary so carry your Binocular which shall be very helpful. Overnight at the Camp. Early b/fast and drive to Leh arrive by noon in Leh. Afternoon free at leisure for last minute shopping etc. Overnight at the hotel. Morning after a light snack, transfer to airport to board flight for Delhi. Plus US $390 (Approx.) for Delhi-Leh-Delhi airfare extra. For private departures, cost will be based on number of passengers. Private Journeys for independent travel with your own dates. Extra cost due to road block, flight cancellation & etc. Cold climes, majestic peaks, sweeping vista, pristine ambience in mountains can capture imagination of any young minds, Apurav Sharma is no exception. Although born and brought up in vibrant Delhi but he found refuge for himself far from maddening crowd and in mountains, which lies not so far from there. A love that grew with every vacations during his childhood days with family. A progression that can still find expression in his yearly visit to mountains, which he partakes at least once if not twice. More often, these trait formed during formative years usually breeds love for travelling. And its this love for travelling he pursued whole heartedly in his later years. To give firm anchorage to his passion, he did his MBA specialising in Tourism. In travel, languages could pose a barrier, to combat it, he studied Spanish and French as languages, which makes him fluent in 4 different international dialects. Recently, his best friend has been his bike to give company in his travel. Saddling on it, he covered miles in mountains and plains of India. 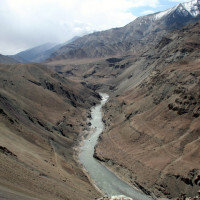 Among many, a notable one is biking trip in Spiti valley – world highest motor able village. 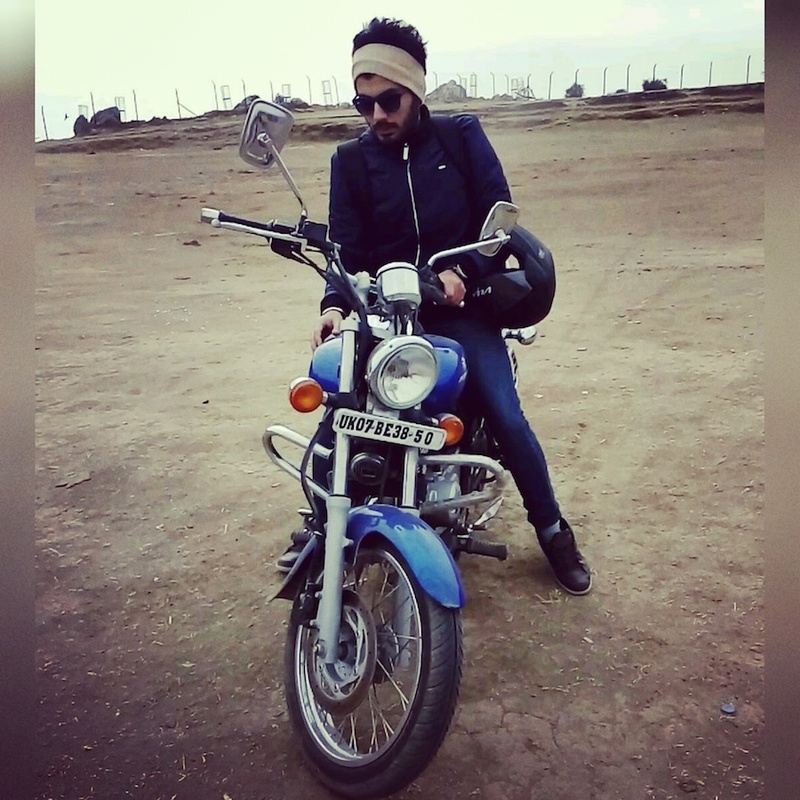 Although, he joined Wind Horse India recently but he is already making a huge difference leading the biking tour with flair and dexterity, if behind the desk then with his travel oriented innovated ideas. If not in both of these places, and if he is letting his hair down then there is hardly any price for guessing – MOUNTAINS. 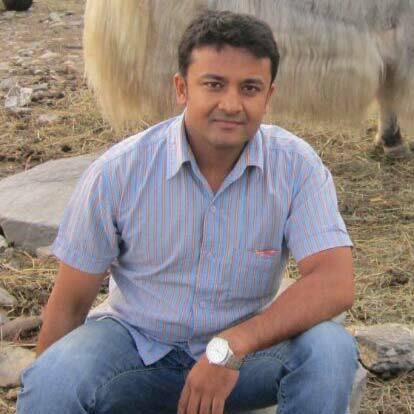 Rajat Gupta is the gun young at Wind Horse Tours, New Delhi. With his advent there is infusion of fresh ideas, exuberance and passion , that changing travel scenario demands. He completed his degree course in Tourism Management in 2014. At Wind Horse Tour, India, he is setting pace for innovations and fresh perspectives to thrive and to meet new demands. With opening of window for Visa on Arrival for many countries by Indian Government, this has thrown door wide open for travel industries to redesign structural patterns in term of infrastructures and itineraries. 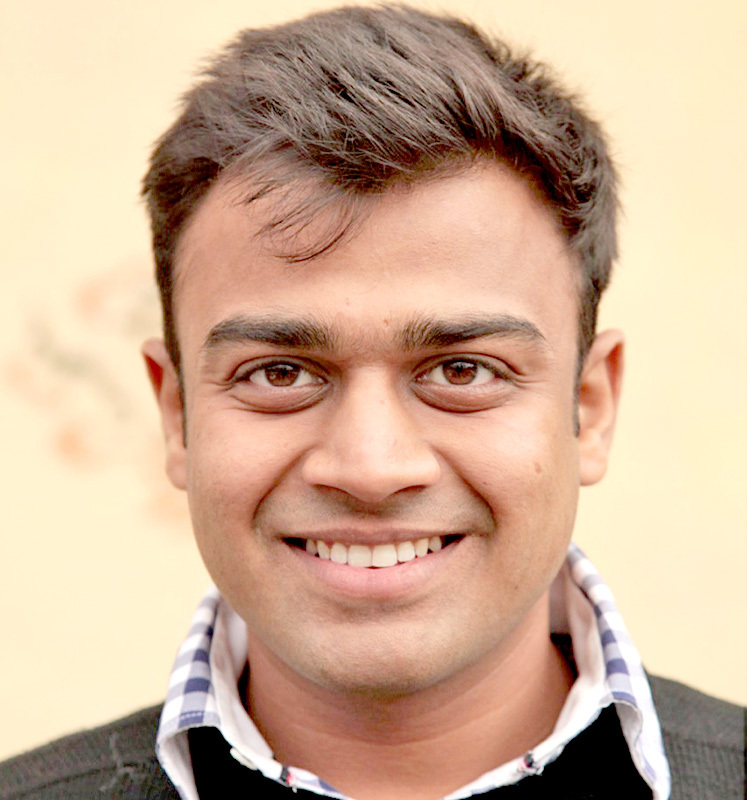 He inherited the passion for the travel business from his father Santosh Gupta. While growing up or still now the travel talks hogs the limelight at the dinner table. He alway knew what he wanted or how he wants to shape up his career. Choosing travel management course was a conscious choice to hone his passion.